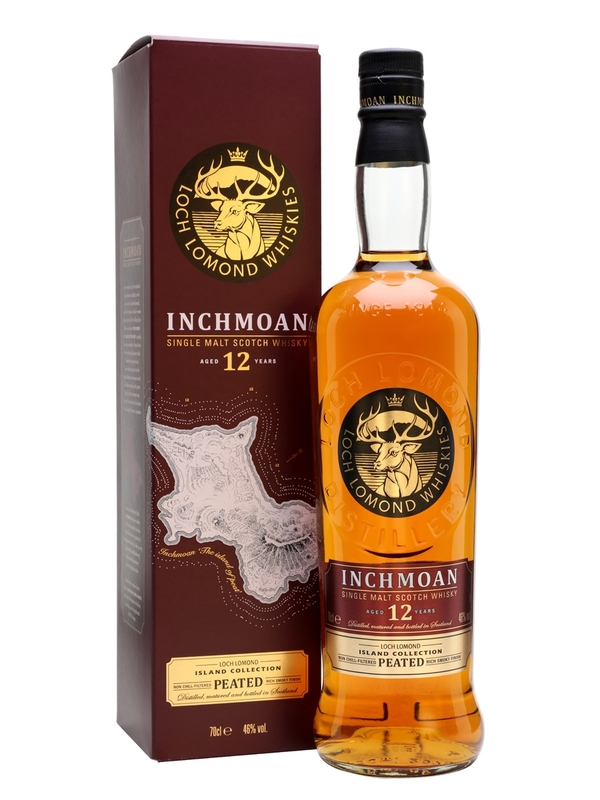 Today’s review is Inchmoan 12 Year Old, the peated sibling of Inchmurrin from Loch Lomond Distillery. It was distilled using the distillery traditional swan neck and their unique straight neck pot stills (Also known as Lomond Stills). matured for 12 years in re-charred American oak and refill bourbon American oak casks. Bottled at 46% without chill-filtering (although with added caramel). At the moment it’s only available at UK shops but global distribution will follow in the coming months. Nose: Malt and cereals, bright sweetness with touches of floral and vegetal edges, honey, soft clean earthy peat (Islay it’s not…), moss and gentle damp wood which is one of my least favorite notes (to say the least) but it somehow works OK here with the bright sweetness. After a few minutes there’s floral perfume and gentle burnt wood in the background. Palate: Sweet dry peat smoke, ashes, richer than the nose tells about, honey, some floral sweetness, cereals pudding, becoming spicy towards the end with oak spices, roasted nuts, pepper and a slight damp wood and moss. Finish: Medium-long length, lingering sweet honey and springtime meadow, almonds, coffee, dry smoke in the background and sweet (and just barely damp) oak. Thoughts: Well, this went better then I expected. Instead of a Mainland peated whisky with a bright sweet side and just a touch of the old regime style (which is the cause for the bad reputation Loch Lomond whiskies). I was told that since the ownership changed in 2014, they embarked a long process of improving wood policy also for the existing inventory, recasking 3rd and 4th fill casks into high quality first-fill casks and I tend to believe that the Inchmoan whisky went through this process, showing us that this move yields good results. This entry was posted in Whisky Reviews and tagged Inchmoan, Loch Lomond on September 11, 2017 by Yoav @ Whisky Gospel.